This is a sharp, snappy clever mystery perfect for YA fans. Debut novelist Eliza Fontaine has just been pulled from a near-drowning in a hotel swimming pool, but apparently it’s not the first time. There is no denying she almost drowned. But why? Eliza swears she did not try to kill herself. The police don’t seem all that interested in finding out how Eliza ended up in the pool. She can’t swim and she is sure that someone pushed her. The problem is that she just can’t seem to remember the night very clearly and there seem to be no witnesses to what happened. Eliza is an unreliable narrator, as her family and friends are quick to point out. She’s very smart and this story was loads of fun in trying to figure out who was telling the truth and who was lying. Or was it Eliza that was untruthful? 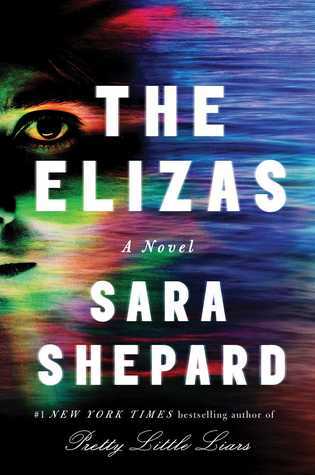 This clever book is actually two books: ‘The Elizas’ alternates between Eliza’s narration and the book she is about to publish, ‘The Dots’. I wasn’t sure what was real in this book and what was a product of Eliza’s very vivid imagination. The author created a cast of very real and colorful characters which added to the fun of this story. I was rooting for Eliza to find a true friend and perhaps make a real connection with someone. She enlists the help of the unusual and very unique Desmond to try and unravel the mystery of what happened to her in the Palm Springs hotel pool. I read this book in one sitting and very much enjoyed both the main story and ‘The Dots’. This book is both funny, poignant and very suspenseful and will definitely appeal to fans of the YA genre who are looking for a slow-building mystery. There is a huge twist at the end that was a big surprise. While I felt that this book mostly read like a script (it would make a great movie or mini-series! ), overall I really enjoyed this fun thriller and am still thinking this book even after I finished. I loved the author’s writing style and recommend this if you are looking for a fast-paced poolside or beach read.